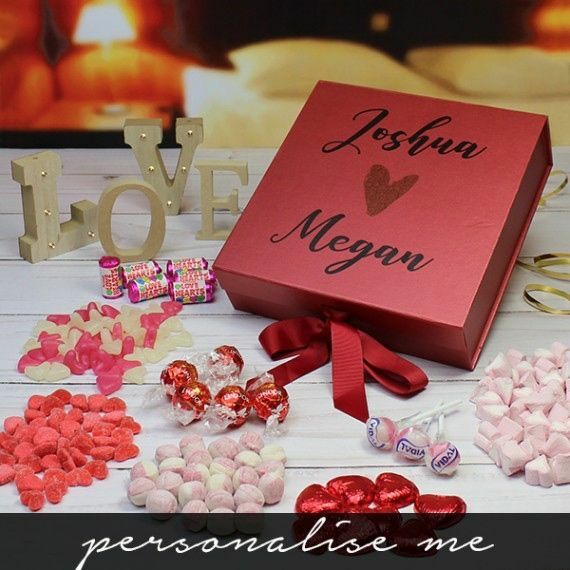 Personalised Valentines Sweet Box where you can put both you names on the cover. 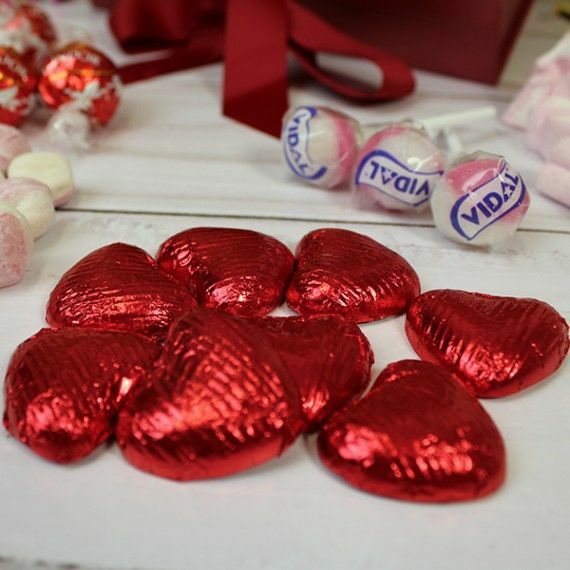 Containing romantic sweet gifts in subtle and stylish packaging to truly impress your sweet toothed, loved one. See product detail below for more information. This luxury, ribbon tied sweet box is sure to impress your partner on any special occasion. 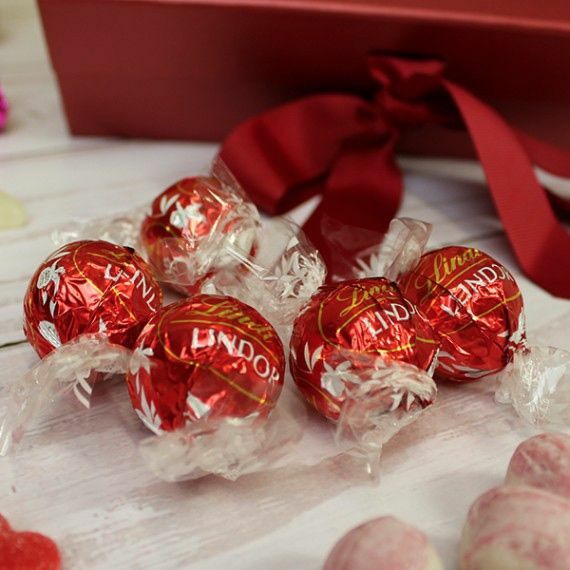 Packed with a fine assortment of luxury chocolates and delicious sweets this is a luxury gift, sure to impress. 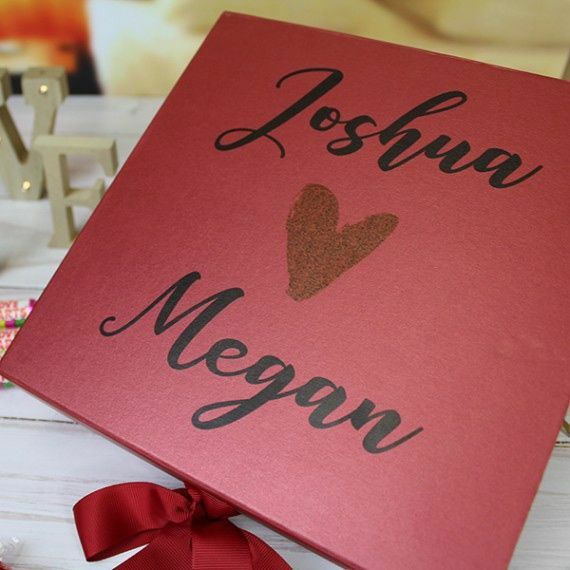 The box itself is then personalised with both of your names as a memento of your love. • Personalised directly onto the box. • Personalised with 2 names – Maximum of 12 characters per name. • Box can be used to store treat or keepsakes.